Sue Huang is an artist working at the intersections of new media, installation, and social practice. Her first project at Cherry Street Pier will be a new work that considers networks and spatial displacements through a study of clouds and ice cream. Her solo and collaborative works have been presented at the Museum of Contemporary Art (MOCA) in Los Angeles, the Contemporary Arts Center in Cincinnati, Rhizome at the New Museum, Ars Electronica, the Beall Center for Art and Technology in Irvine, and A.P.E Gallery in Northampton, among others. She holds an MFA in Design Media Arts from the University of California, Los Angeles, and is a graduate of Georgetown University’s Walsh School of Foreign Service. 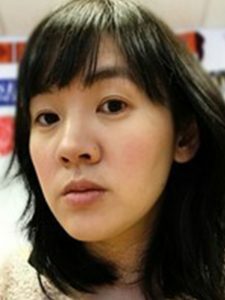 Huang is a co-founder of the media arts collaborative Knifeandfork and an Assistant Professor of Digital Media and Design at the University of Connecticut.